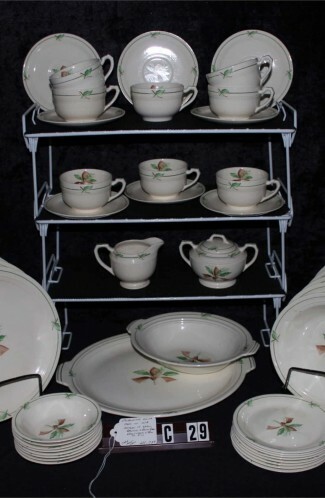 Wedgwood Barlastan China - "Brecon" Pattern, Retro 1950's Dinner Service. 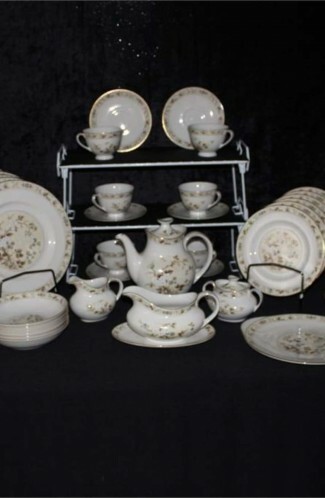 Set of (23) Pieces available as shown. Very clean styled, White Background with a Celadon (Jade Green) Band, and Center Design of Mauve Leaves, Burgundy Berries and Dark Green Leaves. Very Unusual, but lovely pattern. 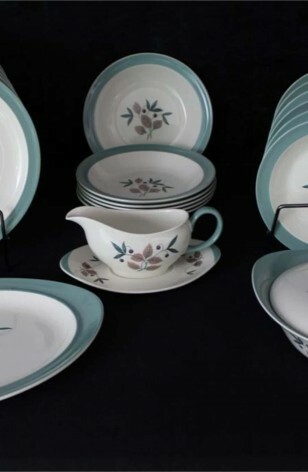 Easy to match with other China Pieces. Very clean Styled, White Backgrund, with a Celadon (Jade Green) Band, and Center Design of Mauve Leaves, Burgundy Berries and Dark Green Leaves. Very Unusual, but lovely pattern. 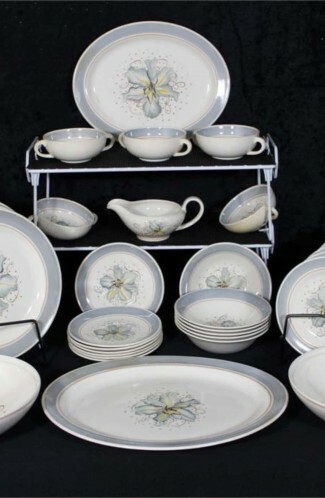 Easy to match with other China Pieces. Good Condition unless otherwise noted in Pictures or Stated in the Descriptions below. 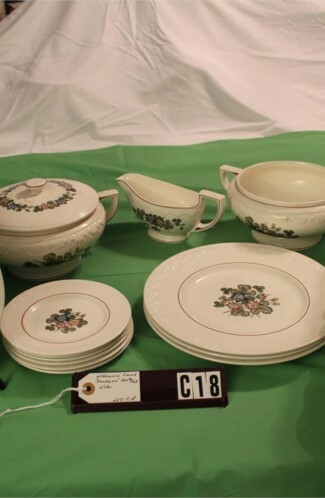 6 - Dinner Plates - 10 1/8"
6 - Salad Plates - 8 1/4"